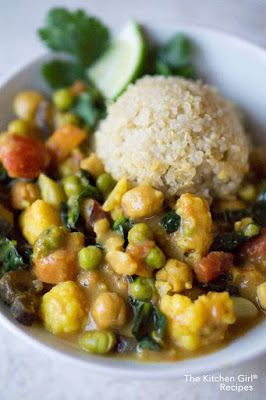 Vegan Thai Coconut Vegetable Curry is loaded with everyday vegetables and simmered in a curry and coconut milk sauce. It’s an easy, Asian, comfort-food, naturally gluten free, and ready in 30. If you own an Instant Pot, be sure to grab my Instant Pot Thai Coconut Lentil Chickpea Curry recipe too! 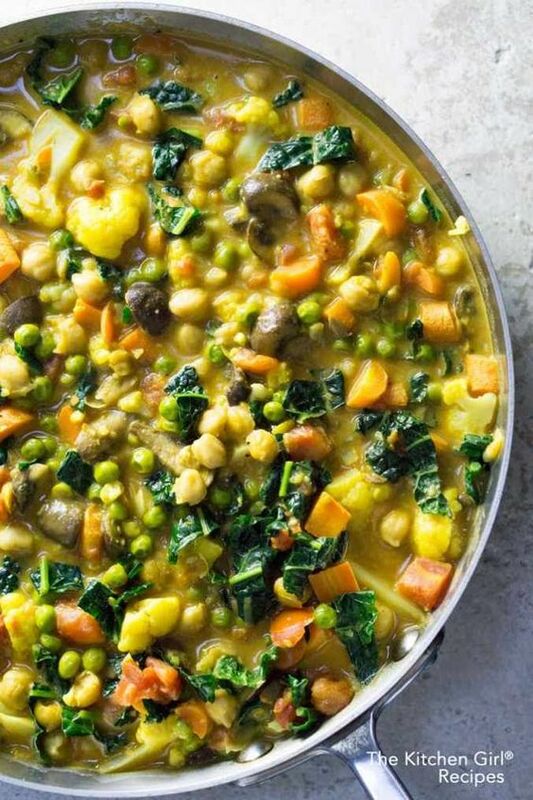 Everyday, fresh vegetables, curry paste, and coconut milk makes this a healthy, flavorful entree served over rice or quinoa. In a 3-quart skillet or pot, heat COCONUT OIL over medium heat until shimmering (about 2 minutes). Add ONIONS, GARLIC, CAULIFLOWER, CARROTS, and MUSHROOMS all at once; continue to heat and stir until vegetables become fragrant and slightly soft (about 4 minutes). Add CURRY PASTE; saute a few minutes, stirring as needed. Add KALE (or other greens); cover and simmer long enough to wilt (about 2 minutes). Serve warm over rice or quinoa; garnish with lime wedges and cilantro. 0 Response to "VEGAN THAI COCONUT VEGETABLE CURRY"
Awesome Country Apple Fritter Bread!